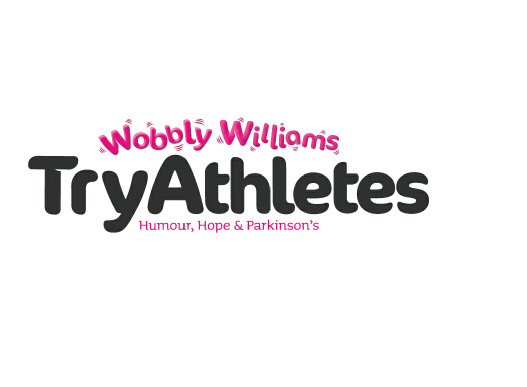 The TryAthletes started life as the WobblyWilliams.com Running Team in 2008. 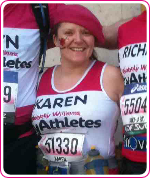 By 2010, over 150 people were wearing the Running Team shirt on all five continents. Our membership has grown to include swimmers, cyclists, and serious people. 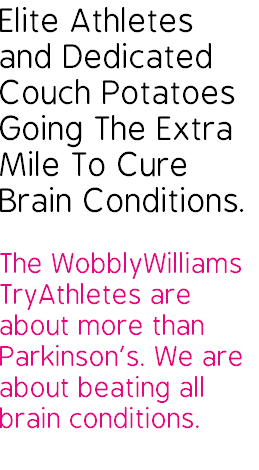 We are now the Wobbly Williams TryAthletes. Following the establishment of Funding Neuro, our sister charity, we are fundraising to deliver cures for all neurological conditions, from tumours to Alzheimer's. 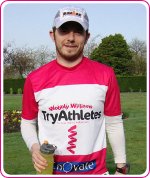 You will receive details of how to get your hands on the rather fetching 2011 t-shirt, as modelled by ultra-marathon man, Mark, and multi-marathon girl, Karen.